As another year comes to a close, we want to show our appreciation to our many customers and say a big thank you for your patronage. We look forward to working with you during the New Year. what causes it – before deciding to go for a CI or to reject CI. This was the issue raised in a deaf medical posting. 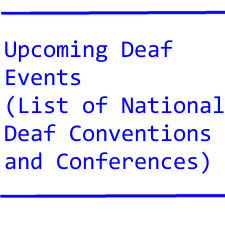 of deaf organizations have filed a formal complaint with the FCC. a group of deaf activists is accusing the newspaper! interpreting for her during the tests! and was forced to work in low paying jobs. on paper for me or use gestures with me. mentioned seven different ways to watch movie captions. DEAF PERSON A REAL FRIEND OR NOT A REAL FRIEND? sign language so they both can communicate. shifting, tries to get away from the hearing person. But at the work place, everything is fine. Why? a secret while attending schools for the deaf. Many deaf homes in Great Britain do not have alerting devices. flash the inside light switch. a large number of break-ins. do you follow your deaf client all day even when you are not on interpreting duty? writing so that they can increase their speed and accuracy. someone must follow an exercise program for their body. stick with their new “exercise program” in the coming year. why cannot you read my lips? sued another hearing aid manufacturer over a patent infringement. 31 million dollars went to the wronged hearing aid manufacturer. The Kuhn Triplets (Chris, Craig and Curt) are at it again. 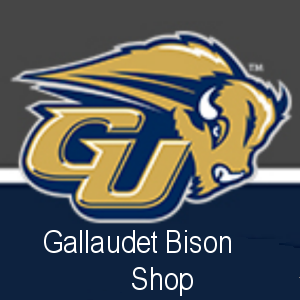 Illinois School for the Deaf and at Gallaudet University. to mention deafness at all? and only 13 were selected for the awards. “I must win the argument” stance. an on-going disagreement between the #1 person and the #2 person. The #1 and the #2 person, by the way, have departed us. Culture. Excellent writing and communication skills required. concerns. Must be willing to work some evenings and weekend. community; promote consumers’ independence and social relationships. Must be willing to work some evenings and weekend. § Establish service plans with clients and document progress towards goals. § Be available to work some evenings and weekend hours as needed. § Other duties as assigned by supervisor. Supervision: Reports to the Project HOPE Director. veterans, minorities, and persons with disabilities are encouraged to apply. * Works primarily in a specialized psychiatric unit providing care, habilitation, and rehabilitation of deaf and hard of hearing (D/HH) patients with co-occurring disorders of mental illness and chemical dependency in a state mental health hospital. * Performs basic nursing care and assist patients with personal hygiene and activities of daily living. * Observes patients closely and documents patients’ physical and mental condition. * Maintains the security of patients. * Accompanies patients off unit to hospital activities, functions, and off hospital grounds to medical appointments and field trips. * Communicates with D/HH patients in sign language. * Performs assigned work under supervision of professional nurses and LPNs with instructions from physicians. * Graduation from a standard high school or GED equivalent. * Possession of a valid Alabama Driver’s License. * Proficiency in American Sign Language (ASL) at “native” or near “native fluency” level of signing skills as measured by a recognized screening process, such as SLPI/SCPI at the “Advanced” level or higher. Use an official application for professional employment (exempt classification) which may be obtained from this office. The application should be returned to Personnel Office, Bryce Hospital, 200 University Blvd., Tuscaloosa, Alabama, 35401 until filled in order to be considered for this position. Do not return this application to the state personnel department. Please have an official copy of transcript (s) forwarded to the personnel department at the above address. This entry was tagged deafdigest blue 8211 december 30 2012 by Robert Rademacher. Bookmark the permalink.